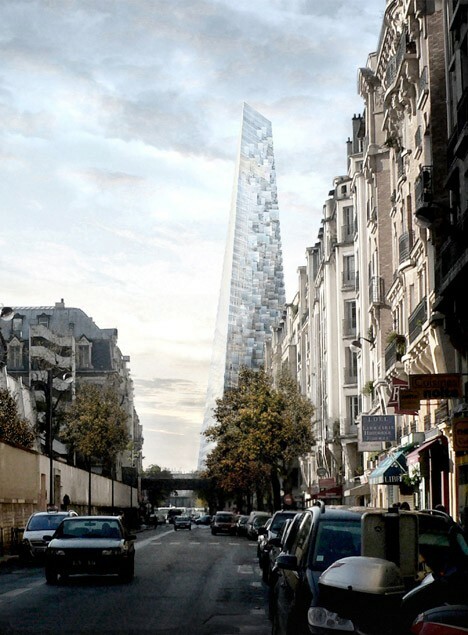 At nearly 600 feet (180 meters) tall, this structure was narrowly granted permission to be the first skyscraper to grace the Parisian skyline in nearly half a century. 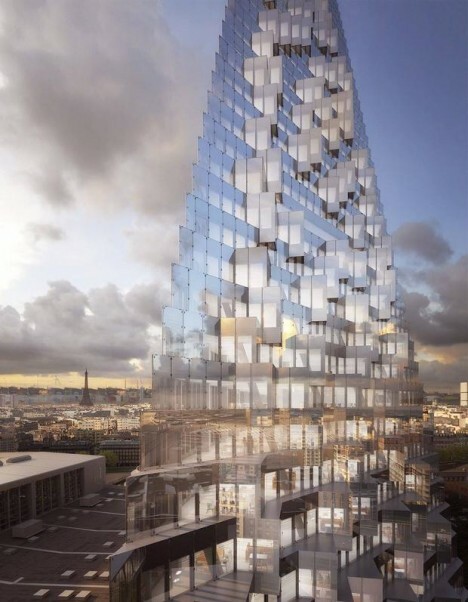 Designed by Herzog & De Meuron, the Tour Triangle will be the third tallest building in the city, shorter only than one other skyscraper and the Eiffel Tower. Its shape is in part a reaction against the rectangle towers of downtown, which indeed sparked the initial moratorium on creating such tall buildings. 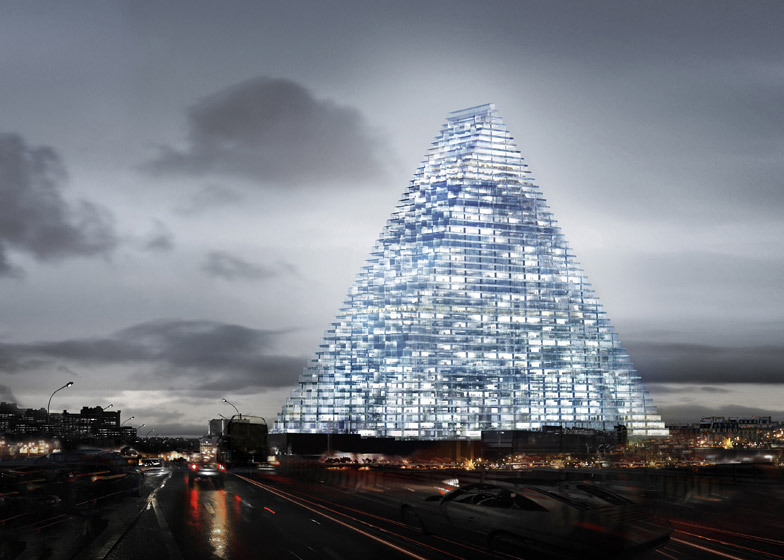 The triangular tower (already nicknamed simply ‘Triangle’) is slightly pyramidal in shape, tapering toward the top on all sides but most dramatically along two of its facades. 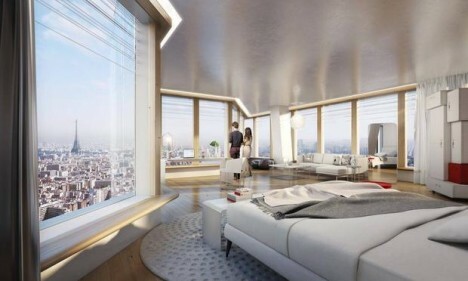 An affair of steel and glass, it is starkly modern with respect to its neighboring buildings. 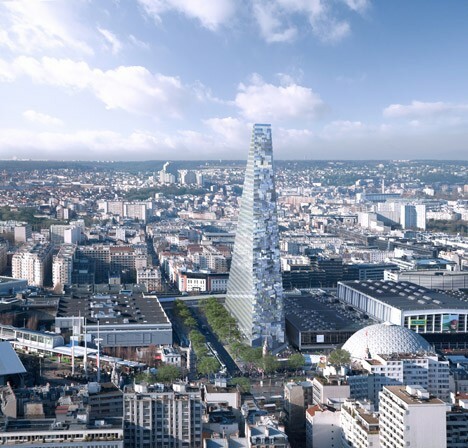 Perhaps like the Eiffel Tower, originally widely hated, or the Centre Pompidou, a structurally-inverted museum also met with much initial criticism, the Triangle could become an icon within the city over time. 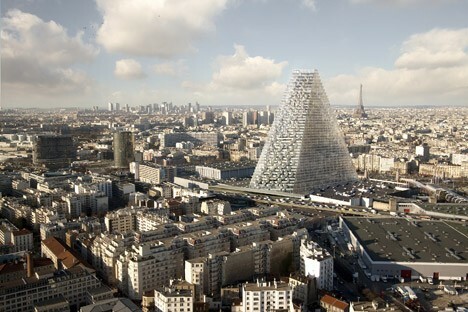 Despite being located at 1 Place de la Porte de Versailles, right on the edge of the central ring road surrounding the innermost part of the city (and arguably reinforcing a key nexus point), critics are concerned about the building overshadowing the surrounding urban landscape. The measure to approve its construction barely passed, after initially failing to garner sufficient votes last year. 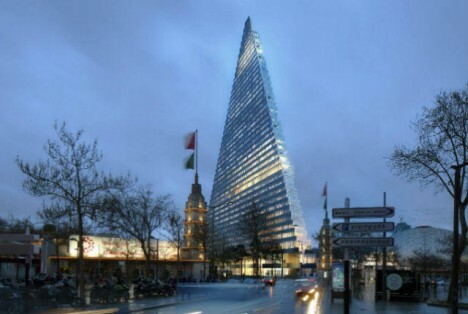 Advocates are quick to point out that the building will create thousands of jobs both as it is constructed and once it is completed, as well as creating much-needed residential and office space in the city. For decades, the city limited new structures to around 100 feet, curbing development inside the city limits and forcing developers into suburban spaces. 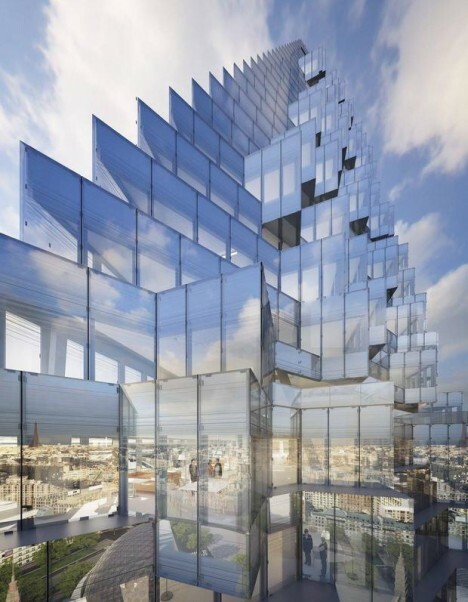 The popularity of this new tower may well be the determining factor in future downtown developments, either heralding the rise of additional towers or perhaps causing further decades of deferred construction depending on public reactions.